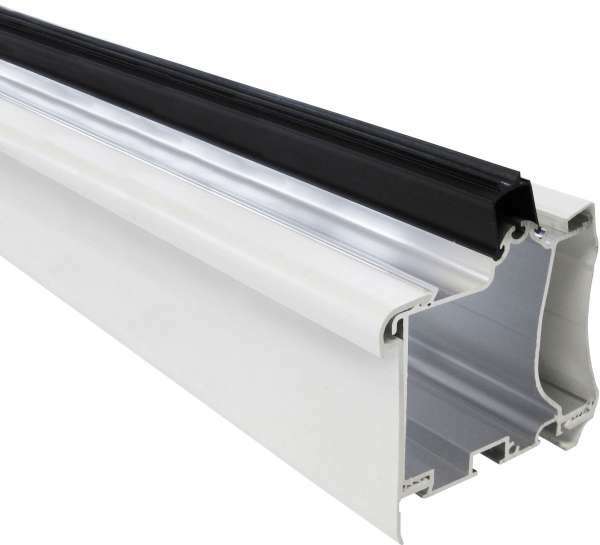 Product information "Heavy Duty Self-Supporting Eaves Beam"
Strong extruded aluminium section for lean-to roof eaves support. 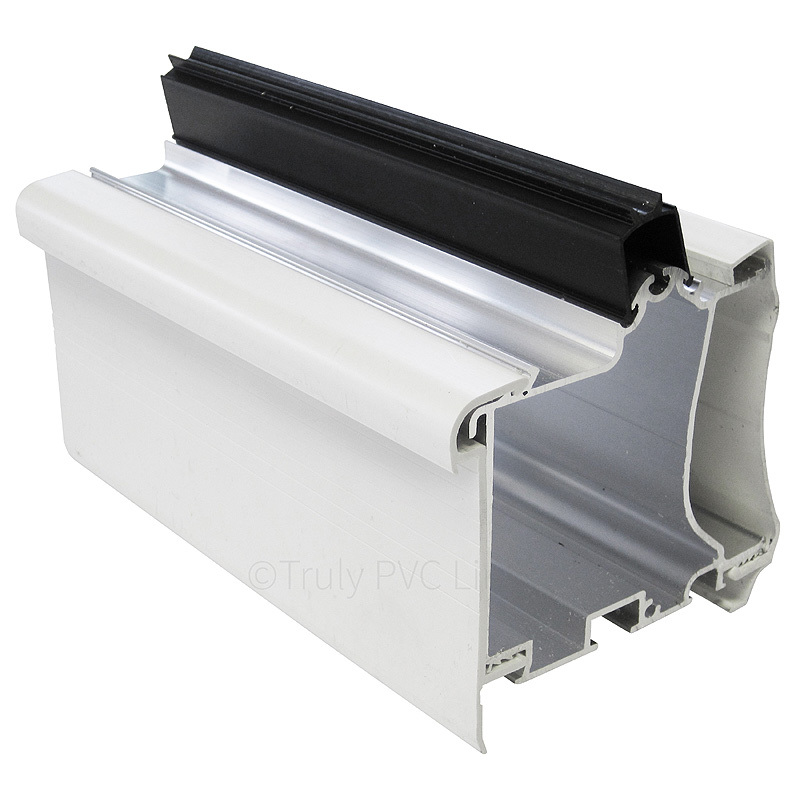 Features glazing support trim, interior and exterior uPVC cladding and end covers. The whole Heavy Duty Self-Supporting Roof System is flexible and easy to use and can span 4m unpupported without cross bearers. Whatismore, it can be used with polycarbonate and glass. Ease of Fitting - support trim, and cladding simply click into place. 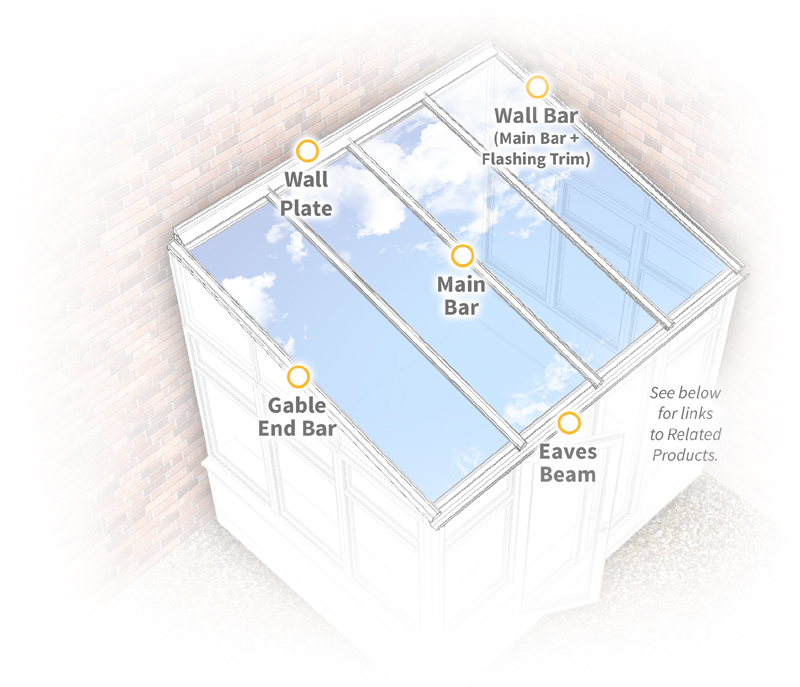 The range includes Wall Plate for securing glazing bars to house wall, structural Eaves Beam for the low end, standard Main Bar for use as an intermediate between in-line sheets, Gable End Bar for exposed end of lean-to and strong>Wall Bar for abutting a wall. 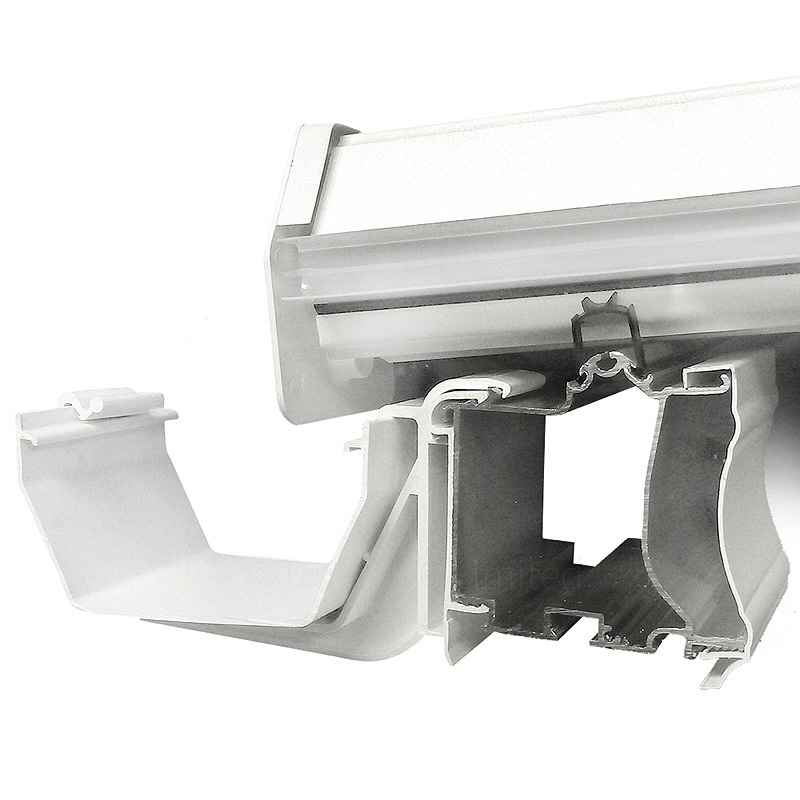 The Wall Bar is the standard Main Bar with separate Flashing Trim. Related links to "Heavy Duty Self-Supporting Eaves Beam"
Customer review for "Heavy Duty Self-Supporting Eaves Beam"